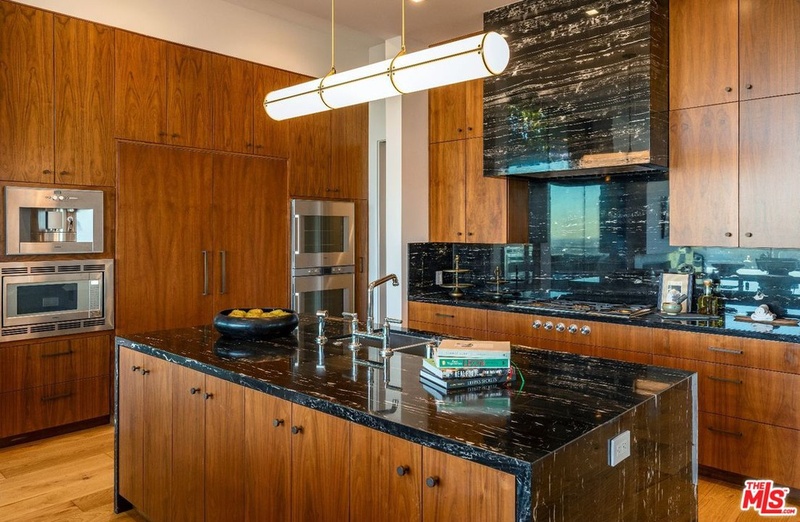 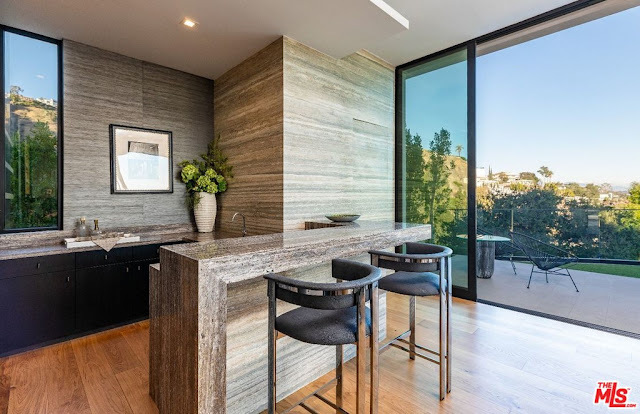 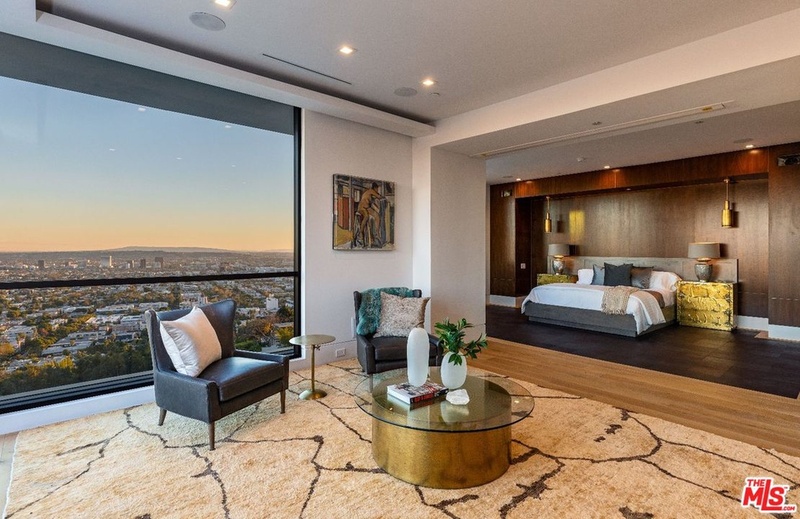 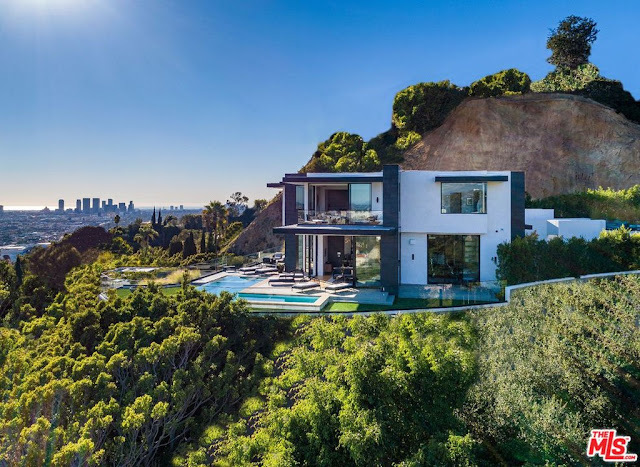 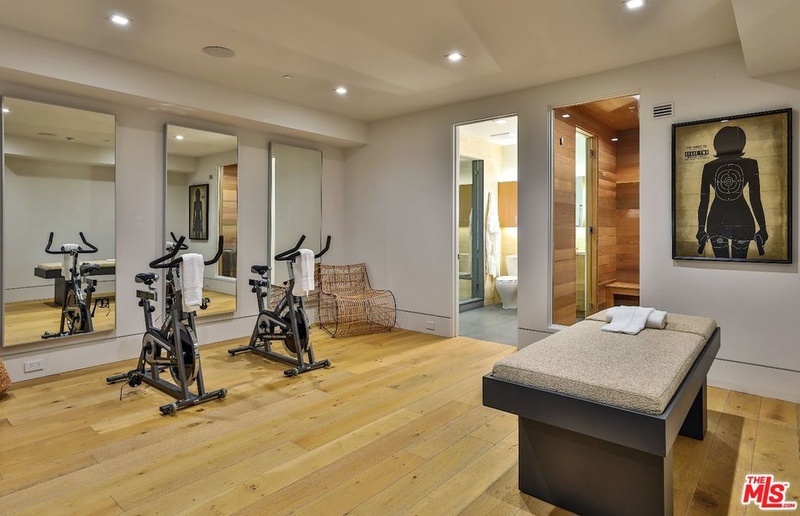 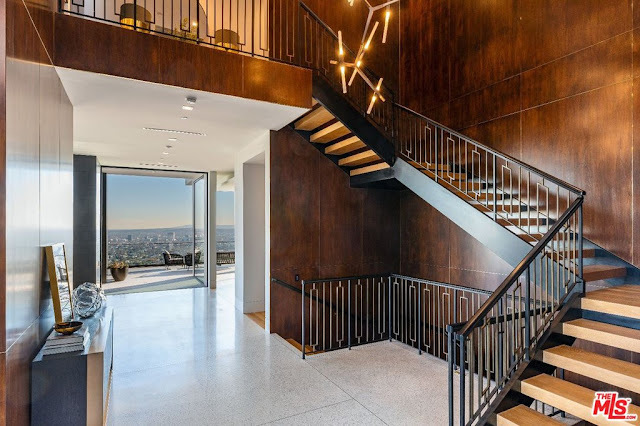 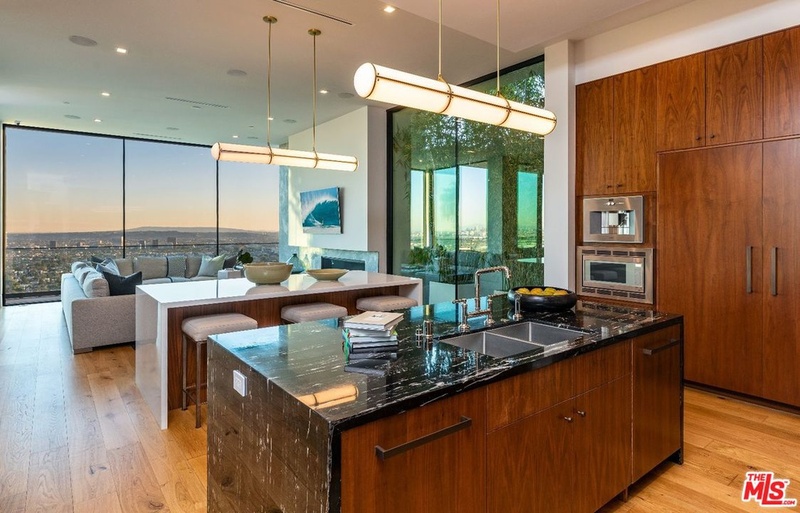 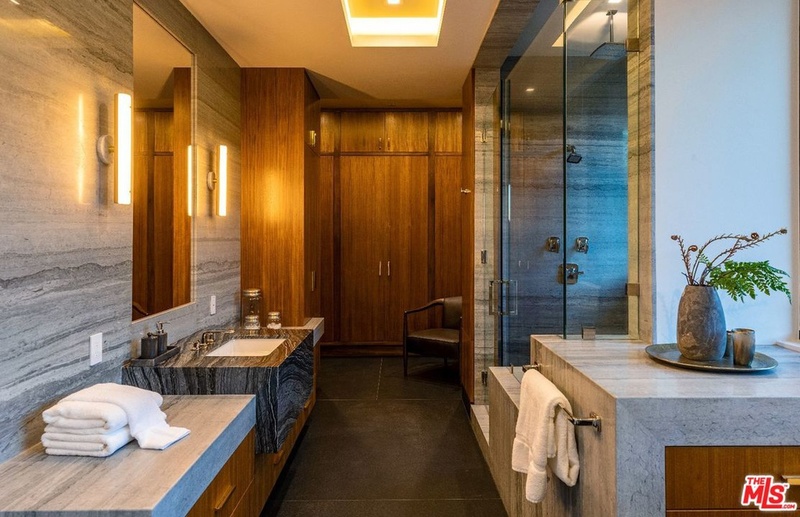 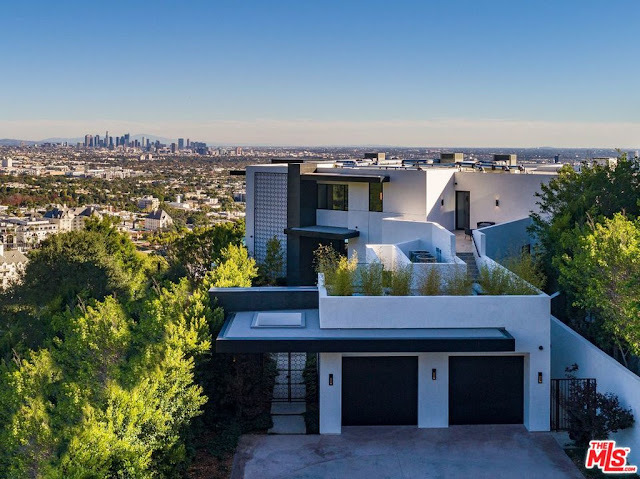 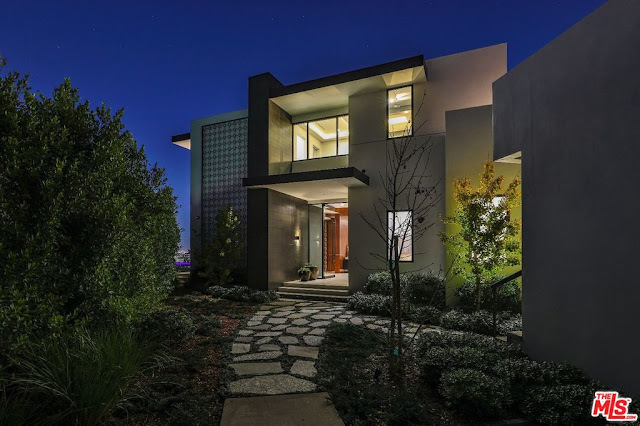 This newly built Tim Campbell-designed contemporary mansion in the Hollywood Hills area of Los Angeles, CA and is situated on just under a half acre of hilltop land that takes in peerless views of downtown LA and the ocean. 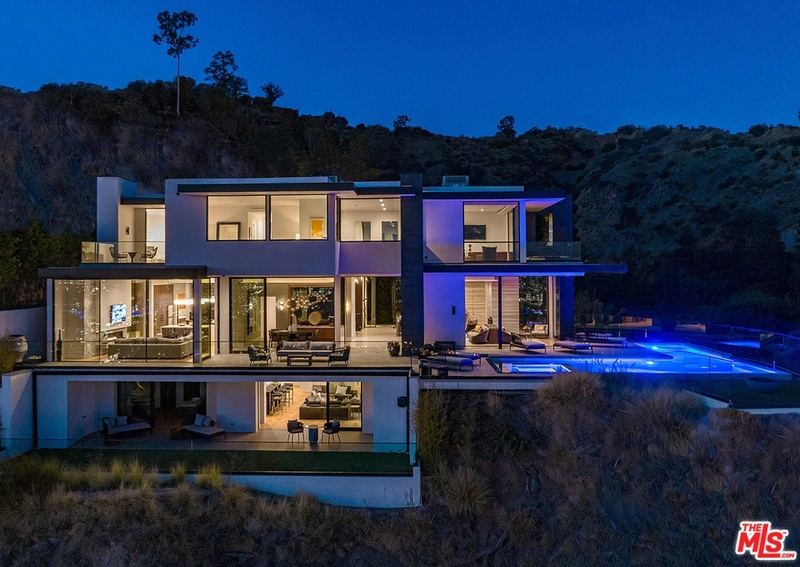 Designed with entertainment in mind, it features approximately 10,000 square feet of living space with five bedrooms, seven full and three half bathrooms, two-story foyer with floating U-shaped staircase, an elevator, living room with floor-to-ceiling movable glass walls, wet bar, gourmet kitchen with double waterfall-style islands, family room with fireplace, lounge with wet bar and media center, home theater, an exercise room with sauna and bathroom, a five-car garage, and much more. Outdoor features include a gated entrance, covered front porch, balconies, open and covered terraces, patio, a roof top garden, and an L-shaped infinity-edge swimming pool with spa.